Sensationalism works its way into mainstream news media and, just for once, in one published poet’s book of poems. 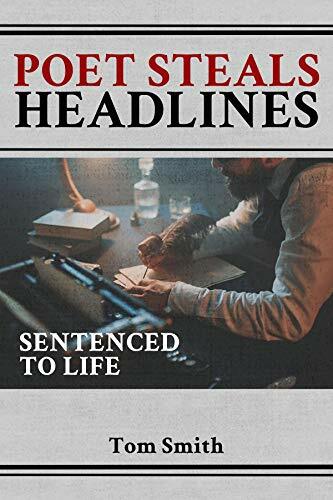 Since 1976, Tom Smith had published a number of poetry books but he will be best remembered for “Poet Steals Headlines: Sentenced to Life” (ReadersMagnet; 2018). The latest poetry book does not only demonstrate Smith’s playfulness with words but also unveils his thoughts and opinions behind the headlines and narratives of the outrageous, sensational news stories, which the poet sourced from tabloids and newspapers such as the defunct Weekly World News, National Enquirer, and even New York Times. Readers can just laugh and reflect over Smith’s original poems that are packed with humor, satire, fantasy, and even some sensuality, all of which are inspired by fictional and real news stories. Poems include “Amelia Earhart’s Plane Lands”, “Love Can Be Yours for the Asking”, “Some Twins Are Accident Prone”, “Back by Popular Demand / World’s Greatest Disasters”, and “Dolphin Park Stirs Debate”. Laugh and be entertained by Tom Smith’s brand of poetry. Grab a copy of “Poet Steals Headlines: Sentenced to Life” today. Available through Amazon (https://www.amazon.com/Poet-Steals-Headlines-Sentence-Life/dp/1948864681) and Barnes & Noble (https://www.barnesandnoble.com/w/poet-steals-headlines-tom-smith/1129486682). Watch out for the exhibit of “Poet Steals Headlines: Sentenced to Life” at the upcoming 2018 Sharjah International Book Fair on October 31 to November 10, 2018, at the Expo Centre Sharjah in Sharjah, United Arab Emirates (UAE). Professor emeritus Tom Smith taught literature and writing at Vermont’s Castleton University until retiring in 1995. He and his wife Virginia continue to dwell in Vermont where they enjoy frequent visits from their sons and grandchildren. Tom has been publishing poems since 1959 in many literary magazines as well as book-length collections.